Mon., July 9, 2018, 12:09 p.m.
PARIS – French President Emmanuel Macron said Monday that the battle between nationalists and progressives will be at the heart of European Union parliamentary elections next year, a “turning point” that will define the Europe of the future. 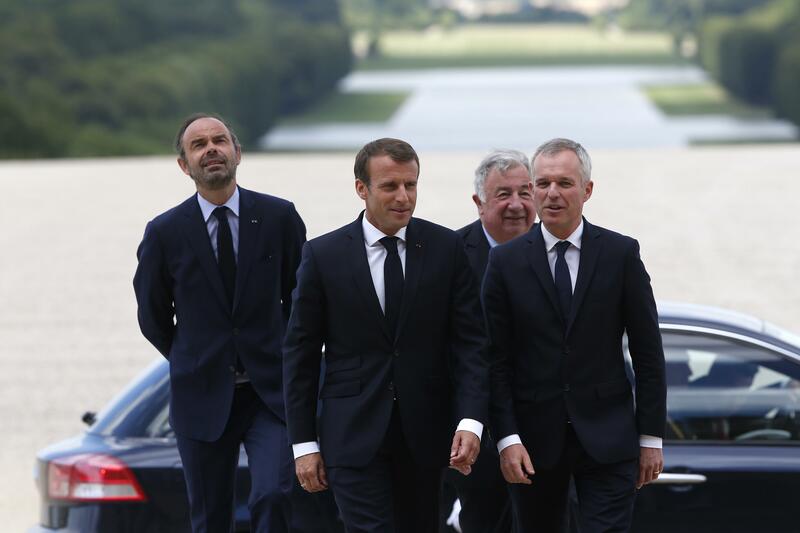 Macron made the assessment of what he said was Europe’s real crisis during a 90-minute speech before some 900 French lawmakers convened at the Palace of Versailles to hear France’s leader outline his vision for the next four years. Macron’s critics claim that humility is not among his virtues, pointing to his decision to deliver each year a French-style State of the Union address in a gilded hall where members of the upper and lower houses of parliament have no right to respond. “This reproach is strange,” Macron said of the complaint at the outset. He announced plans for an amendment to the 2008 constitutional law governing presidential addresses to lawmakers so he can hear and respond to comments next year. It is rare French presidents to convene lawmakers, a ritual always done at Versailles, but this was Macron’s second time addressing them in the sumptuous palace since his 2017 election. Some lawmakers boycotted the session, criticizing the president’s address as the exercise of a monarch. “We are convoked to admire the splendor of Macron the First,” far-left leader Jean-Luc Melenchon told Europe 1 radio. In one of his boldest remarks, Macron defined rising nationalism as a top challenge bearing down on France and its European Union partners. Countering nationalist forces will be the battle of the decade in a “too slow, too bureaucratic” EU, he said. Macron roundly defeated far-right nationalist leader Marine Le Pen in last year’s French presidential election, but populist parties – some with anti-EU or anti-migrant policies – have gained strength in Italy and in numerous eastern European countries. Le Pen said later that Macron got only one thing right in his address, “the division between globalists and nationalists” that she long had been addressing. “He just said it will be us and him, face to face, with two radically different visions of what Europe should be.” For the rest, she added, “he was stringing pearls,” telling the French what they want to hear. “And if the French liked him last year, they’ll adore him next year,” Le Pen said. Published: July 9, 2018, 12:09 p.m.